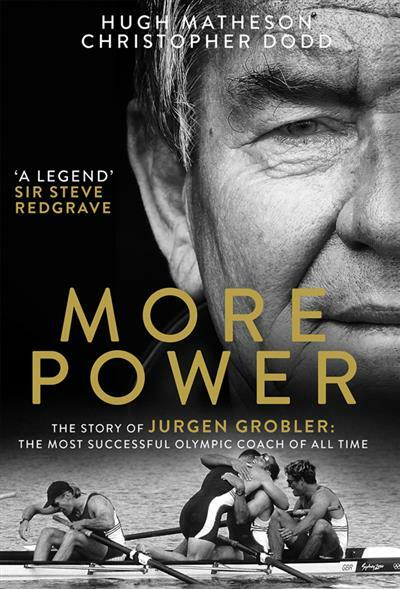 More Power The Story of Jurgen Grobler The most successful Olympic coach of all time | Free eBooks Download - EBOOKEE! Posted on 2018-09-08, by nokia241186. Arguably the greatest coach in British sporting history. Jurgen Grobler's Olympic coaching career is one of legend, yet the man himself has remained resolutely out of the spotlight. Over the last twenty years he has masterminded British Rowing's incomparable success. And when the difference between gold and silver can mean mere fractions of a second, Jurgen Grobler has consistently delivered Olympic gold through various boat classes and with an ever-changing group of athletes. Arguably the greatest coach in British sporting history, Grobler's unparalleled record outstrips many much better known records and stories; building champions such as Sir Steve Redgrave, Sir Matthew Pinsent and James Cracknell to name but few. This authoritative account of Grobler's career straddles the Iron Curtain, beginning in the German Democratic Republic, where systemic state-funded doping was an open secret, before crossing to Britain following the fall of the Berlin Wall. And whilst culture and sport have shifted dramatically over the last half century, Grobler's pursuit of greatness has never faltered. Written by Olympic medallist, Hugh Matheson, and rowing historian, Christopher Dodd, More Power is the unmissable story of one man's quest for glory, and sets out to unlock the secrets of Jurgen Grobler: the finest coach Olympic sport has ever seen. No comments for "More Power The Story of Jurgen Grobler The most successful Olympic coach of all time".